CSL is set to become the second largest flu vaccine business in the world with the acquisition of a subsidiary of Swiss pharmaceutical multinational Novartis for US $275 million (AUD 312 million). 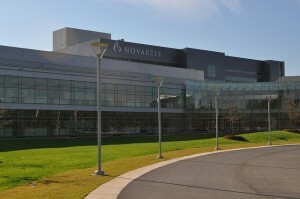 According to the Sydney Morning Herald, the company will combine the Novartis vaccine business with its existing $36 billion vaccine subsidiary, bioCSL, to create the second largest vaccine company in the global influenza industry with manufacturing plants in the US, UK, Germany and Australia. Chief Executive Paul Perreault said the deal will provide bioCSL with access to state-of-the-art facilities and product and geographic diversity. “This transaction has the potential to create a global platform for bioCSL that is comparable in many aspects to our global protein science business,” Mr Perreault said. The company said its Parkville facilities in Melbourne will play a key role in the global manufacturing network of the combined business while continuing to offer seasonal influenza vaccine supply and pandemic preparedness and response to Australia. The takeover, which is expected to be concluded in the second half of next year, will be funded internally by CSL through surplus cash and will not affect the company’s planned share buyback program announced earlier this month.